Vcap plant-derived cellulose and water, glycerin. Consult a healthcare professional first, if you are pregnant or nursing. AHCC (Active Hexose Correlated Compound) made from hybridized mushrooms used in traditional Japanese healing, cultured in a liquid medium. 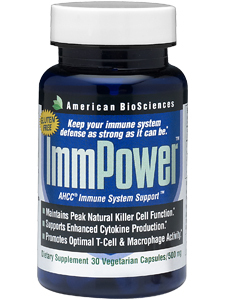 It delivers activated hemicellulose, glyco-proteins, amino acids and oligosaccharides with a unique alpha-1,4 glucan structure.